Click Here to read a transcript of this video. How To Spend Less Time Cleaning Your Bike... And More Time Riding It! 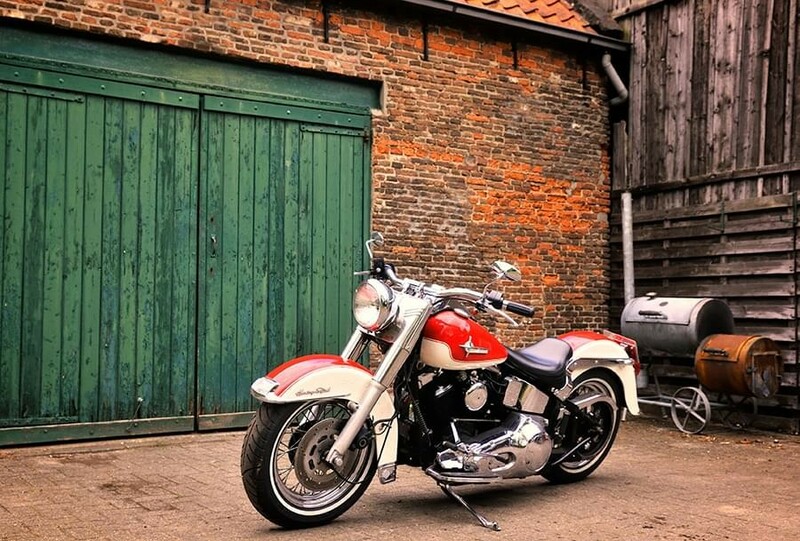 Revolutionary "TopCoat" Formula helps everyday motorcycle owners get the extraordinary results of a professional detailer in a quarter of the time! How long does it take to clean your bike? Only to look up and realize if you really want to take care of your bike, you still need to detail the leather, and clean the engine with Q-tips and brushes! And by then, the entire day's gone! 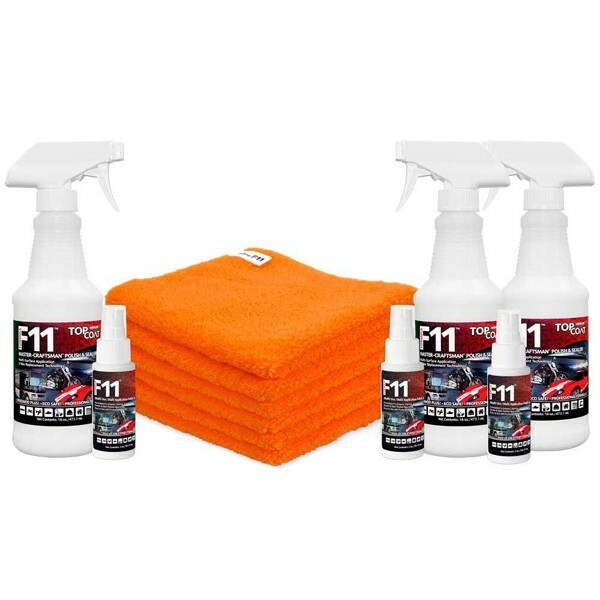 What if you could clean your entire motorcycle easier and faster, with ONE product? Think of all the time you’d save cleaning your bike. And all the money you’d save too! And still achieve a showroom shine in a quarter of the time. TopCoat Formula 11 is a revolutionary eco-friendly, water-based, multi-function, multi-use polish and sealer coating. From saddlebags to windscreens, engines, chrome, paint, rubber, plastic, and leather surfaces. TopCoat even treats Denim and Matte finishes without artificially shining them! 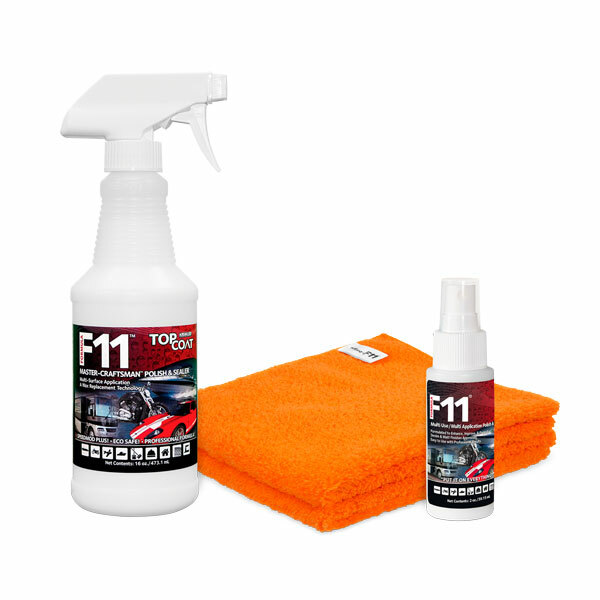 TopCoat Formula 11 helps everyday motorcycle owners get the extraordinary results of a professional detailer in a quarter of the time. Select one of the options below to make riding your bike fun again! THE SECRET TO PERMANENT SHOWROOM SHINE? If you took a powerful microscope and zoomed in on the surface of your vehicle, you’d notice microscopic imperfections in the substrate. These imperfections are obviously too small to see with the naked eye, or even to feel with your hands... But they're there. Dirt and grime LOVE to get stuck in these tiny imperfections… Causing a low-level “dirty” look that you just can’t remove with traditional cleaners and waxes. But what if you could put an invisible coat on your bike that blocked dirt from ever even touching the metal? A revolutionary new product called TopCoat Formula 11 does just that. TopCoat forms an invisible protective barrier that enhances, restores, and protects motorcycles of any age to their original showroom shine. After a long weekend ride, cleaning your bike is as easy as wiping it down with a micro-fiber towel, because any accumulated dirt and grime is sitting on an invisible layer of TopCoat and is easy to remove, thanks to the easy release and non-stick characteristics. 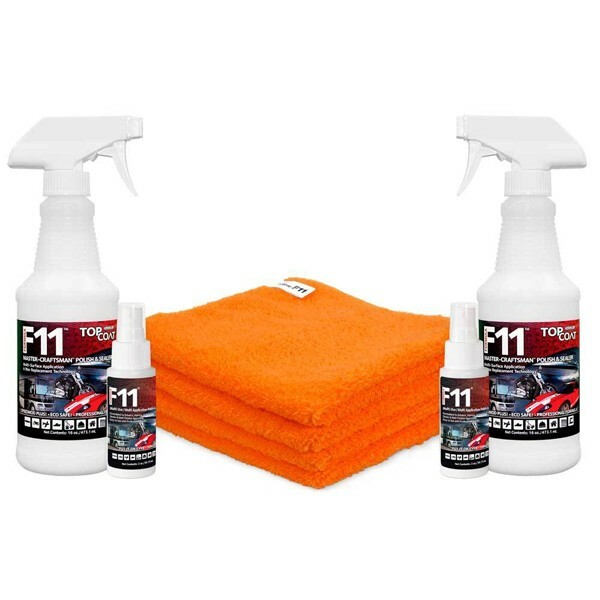 So as you apply it over time, you’re actually creating an invisible layer that not only protects your ride, but also makes all other cleaning products obsolete and unnecessary! COPYRIGHT © 2018 - TOPCOAT® F11®.